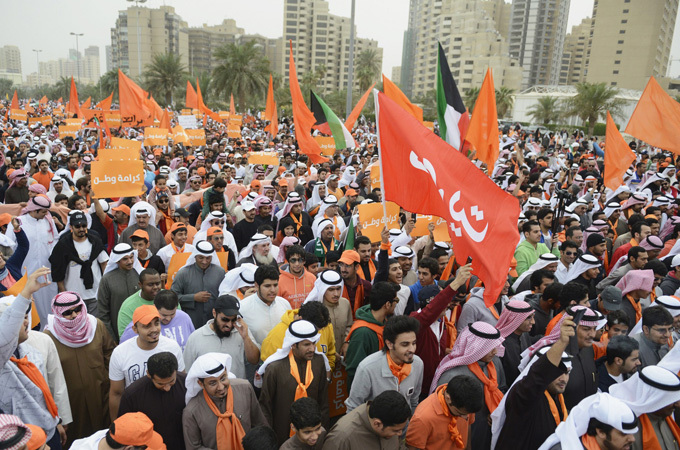 Last Friday was one of bloodshed and horror in Kuwait. The country, which has not been affected by regional sectarian issues in the same manner as its neighbours Iraq and Saudi Arabia, experienced something truly terrible. During Friday prayers, when men gather to pray together in the mosque, a suicide bomber entered one such mosque with the intent to kill as many of those inside as possible. To date, twenty seven people inside the Imam Sadiq Mosque, a place of worship for Shia Muslims. Two hundred people were injured. Apart from the horror of this atrocity, which Islamic State claimed responsibility for, what is telling is the speed and amount of information which spread via social media, particularly WhatsApp, in the Gulf. I was receiving messages about the bombing two hours before the news had made it onto websites such as Al Jazeera English. Not only was the information written down, but people were sharing both images and video thanks to the proliferation of smartphones as well as the availability of high-speed mobile data services. Below is just a selection of the images that I received on that day. What’s fascinating is not just the speed of information, but also the accuracy of that information. When Al Jazeera Arabic made a mistake with the name and picture of the suspected bomber an image was shared on social media of the correct suspect. In addition, the amount of information was remarkable. While global networks provided a couple of minutes of coverage about the bombing, the images and video shared via Whatsapp built up a comprehensive picture of the incident, including video footage of the scene as well as interviews with witnesses and survivors. Unlike the news networks, many of whom don’t have correspondents in Kuwait, this was amazing, in-depth reportage of the Imam Sadiq bombing. Just two of the videos I received are below. What was missing from all of this was context. On the same day there were terrorist incidents in both Tunisia and France, one of which was claimed by ISIS. Due to the local interest in Kuwait on my Whatsapp channels, no news on these two events was shared. This was a different story on the news networks where the three stories came together into one coherent piece on ISIS and its aim to spread terror across the Middle East and Europe. Is the Imam Sadiq mosque bombing an example of citizen journalism working at its best in the Gulf? If so, how can media outlets catch up to ensure they have access to this information at the same time as its distribution through both private messaging networks such as WhatsApp as well as open platforms such as Instagram and Twitter? Twitter is looking to bring in a head of media partnerships for the MENA region, to work with publishers. It’ll be interesting to see how this and other efforts to get news outlets to work through social media impacts their ability to tell the story accurately in real time. On a final note, my thoughts are with those who experienced this terrible incident. May all of those who were injured make a speedy recovery, and those who died always be remembered. How can the UAE encourage more locals to enter the media industry? This month we’ve been treated to not one but two regional forums focusing on the media sector. First we had the Abu Dhabi Media Summit. Not to be outdone, Dubai held the second edition of the Emirati Media Forum (EMF). The words above were the highlight of the event, and Sheikh Mohammed bin Rashid Al Maktoum, Vice-President and Prime Minister of the UAE and Ruler of Dubai, spoke about the need for there to be more nationals in the media sector. Reinforcing the message, UAE Minister for State and Chairman of Sky News Arabia Dr Sultan Ahmed Al Jaber spoke on the need for the country’s media to, as Gulf Today put it, become proactive and anticipative, provide deep analysis and interpretation for the current events, carry its social and cultural responsibilities, deliver our message and voice to the world and reflects our sound peaceful culture. As a former journalist in the UAE and someone who has dealt extensively with media across the Gulf, the country doesn’t lack for journalists or publications. However, the vast majority of journalists are expats. Even on the Arabic side, most of the media are from Egypt, Jordan or Lebanon. 1) Encourage critical thinking and debate – it’s probably no surprise that Kuwait and Saudi have the largest number of local writers, thanks in part to debates around issues such as governance, politics and other issues which matter to local communities. The greater the range of views and opinions that are on offer locally, the greater the public engagement with that media. Conversely, the greater the degree of monotony the less interest there is in the media. 2) Support an independent press – there’s some confusion in the region in terms of what the media is and what its job is. As many media outlets are government owned, they’re often seen as a voice for the authorities. Independent media are generally viewed as more credible, more likely to take on vested interests and promote investigative journalism. Independent media help to promote a strong civil society that in turn promotes transparency and ethics. 3) Engage nationals from a young age – there are some up-and-coming young Emiratis in the media sector who are producing great work. They’re the exception however. Most of the nationals in the media are older and occupy higher positions. We need young role-models for today’s Emirati students to follow, role-models who will tell of the long days, of the persistence on chasing a lead, and of the exhilaration in scoring a scoop. As was touched upon at the Emirati Media Forum, the Internet is disrupting traditional media. In America dozens of newspapers have had to close shop due to our changing media consumption habits. In a world where stories are broken and shared virally online, many are arguing that traditional media is not needed as it has been for decades. I disagree. Good local analysis can put any news story in context. This is where a strong press plays a role. For a country that wants to be the first in everything it does, the UAE needs to look again at the local media and ask where is the country’s Al Jazeera, and where are UAE journalists who can be compared to the likes Saudi presenter Turki Al Dakhil, Bahraini editor-in-chief Mansour Al-Jamri, and Kuwaiti journalist Mohammed Al-Sager, all of whom are well respected, famous figures in the media industries in their home countries and abroad. If the UAE wants a strong media presence and aims to attract more UAE nationals into the sector, then there has to be a shift towards a strong, empowered media that can tell the country’s story through its own words. A mature media that can speak on its own behalf, that has a reputation for holding others to account, and which strengthens local communities can only be good for everyone in the country, most of all its nationals, and will help to attract young nationals who want to support their country’s development as well as be involved in what is one of the most exciting jobs anyone can do. I’m going to end this piece with a quote from the Columbia School of Journalism, of what media can do for a country. Journalism exposes corruption, draws attention to injustice, holds politicians and businesses accountable for their promises and duties. It informs citizens and consumers, helps organize public opinion, explains complex issues and clarifies essential disagreements. Journalism plays an irreplaceable role in both democratic politics and market economies. For those in the industry, I’d love to hear your feedback. Who doesn’t know Al-Jazeera? The Doha-based and Qatar-owned news broadcaster became infamous for its airing of messages from Al-Qaeda’s leaders, most notably Osama Bin Laden. 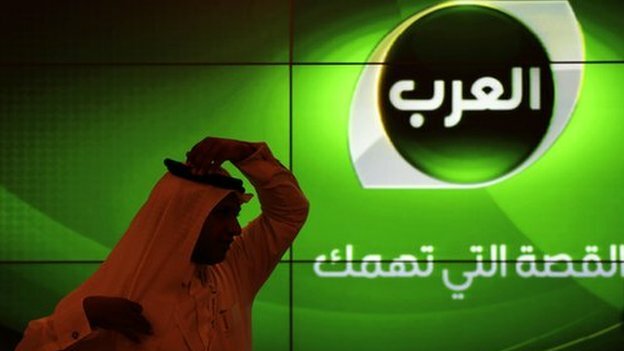 The news channel, which was created in 1996 following attempts by the British Broadcasting Corporation to set up their own Arabic channel failed, has always been the target of criticism partly due to its political inclinations and its inability to criticize its owners – the State of Qatar – while running documentaries and publishing news critical of neighbouring Middle East states. However, Al-Jazeera has been having a particularly rough time of late following recent events in Egypt. partly of its own making but what’s even more interesting is the level of coverage that other media has given to targeting Al-Jazeera following the fall of the Muslim Brotherhood’s Government in Egypt. Ever since the events of the end of June and the start of July in Cairo it’s almost felt as if there’s been a witch-hunt against Al-Jazeera due to its Egyptian coverage. The main accusation? Al-Jazeera’s bias towards the Muslim Brotherhood. While I understand the accusation, the fact that many of those making the claims are firstly media publications and secondly state-owned doesn’t sit well with me. I know of few state-owned media who are not guilt of being their master’s voice and hence being guilty of their own allegations against Al-Jazeera. Furthermore, I always find it strange when media attack other media; it’s hard enough being a journalist as it is today without being criticized by fellow colleagues. I’m going to highlight a couple of articles below, from the Dubai-based and Dubai-owned Gulf News. The first and the most conspicuous news item was a special which was run on the 14th July entitled Al Jazeera loses respect over Egypt coverage. Do read over and share your views with me on this one. Founded in 1996 and funded by Qatar, Al Jazeera was supported by many Egyptian revolutionaries. Demonstrators in Tahrir Squar chanted for it. Also, Al Jazeera staffers were feeling proud that they contributed to the Egyptian revolution with their work and coverage. They made the network the most popular channel in the country. However, when the now ousted president Mohammad Mursi pushed through an unpopular consistution last November, many Egyptians found themselves flipping from Al Jazeera to other Egyptian networks. Distrust over its coverage reached unprecedented levels and took it from being the most popular to the most hated channel — its staff were now feeling embarrassed as their reputation was dragged through the mud. A senior official at Al Jazeera who did not want to be named said that while the network appeared to be a neutral media network it was still a political tool in the hands of the Qatari emir. “He personally visited the studios during the Iraq war to make sure no footage of dead of abducted soldiers was aired. It was clear he was under US pressure,” the official said. A producer claimed that when people started complaining and accusing Al Jazeera of favouring Islamists in Egypt, the station started to exclude any outspoken political analysts and opponents of the Brotherhood from appearing on its screen. On the other hand, he said, video reports that propped up Mursi and the Brotherhood’s image were welcomed by management in Doha. Anchors who used to interrupt the Muslim Brotherhood’s opponents in live interviews were judged as excellent. Other interesting articles from Gulf News include Al Jazeera staff resign after biased Egypt coverage, Al Jazeera’s role raises questions, and media bias infuriates Egyptian moderates which I am quoting from below. Al Jazeera’s Egypt channel (Al Jazeera Mubasher Misr) is blatant in its support for the Brotherhood giving no platform whatsoever to the other side. Egyptian authorities attempted to remove it from air, but failed to do so because Al Jazeera allegedly hijacked broadcast vehicles from Egyptian State TV, now protected by the crowds in Rabaa Adawiya. Local reporters were so incensed they demanded the ejection of Al Jazeera’s senior editor in Egypt from a press conference. Some 22 of Al Jazeera’s employees resigned asserting pro-Islamist bias at the top. On Friday, I was shocked to see someone I recognised on the stage in Rabaa Adawiya, engaged in whipping up the crowds. There was the host of Al Jazeera’s programme Bela Hodod (Without Frontiers) Ahmad Mansour advising on how to manipulate media coverage and insisting that pictures of June 30 massive anti-Mursi protest had been photoshopped. June 30’s aftermath has not only thrust the Arab world’s most populated country into uncertainty, it has eroded media credibility and prompted the crossing of a thin red line between honest reporting and political/ideological propaganda. Journalism requires an ethical revolution before Al Jazeera, CNN and others can ever be trusted again. What I find ironic is the lack of coherency of the argument as it relates to allies. An example in point would be Bahrain. The island’s press is markedly pro-government, and yet there’s no media bias criticism from those who have pointed their finger at Al-Jazeera. If you’re going to adopt an argument at least be consistent in its use. Otherwise, why should we the public trust any of you?